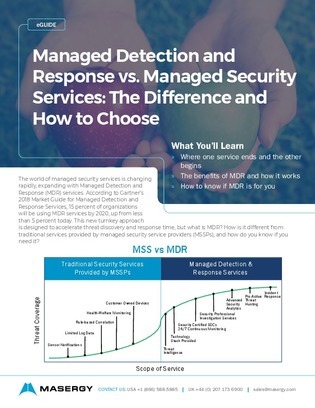 The world of managed security services is changing rapidly, expanding with Managed Detection and Response (MDR) services. This new turnkey approach is designed to accelerate threat discovery and response time, but what is MDR? How is it different from traditional services provided by managed security service providers (MSSPs), and how do you know if you need it?